Ooty, short for Ootacamund (an anglicized name for Udhagamandalam), is a popular hill station in the state of Tamil Nadu in Southern India. It is located 80 km north of Coimbatore. Ooty is situated at an elevation of 2240 m (7,347 feet) above sea level in the Nilgiri mountain range. Ooty is known for its extraordinary scenic beauty and salubrious climate amidst the “Nilgiris” or “Blue Mountains”. 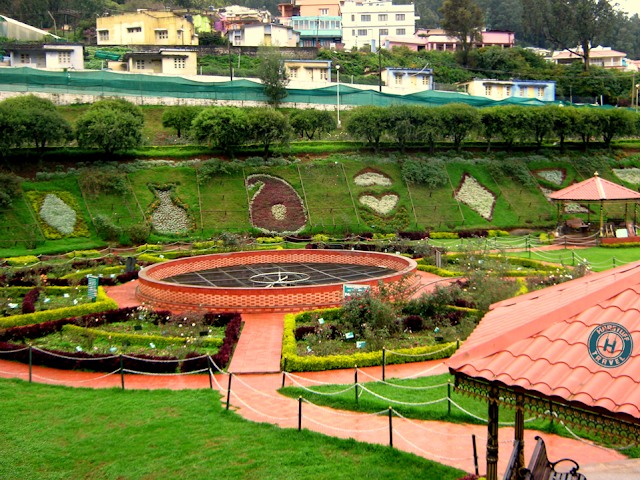 Ooty is the only hill station in India, which attracts visitors during all seasons. It has earned the epithet of the “all-seasons -hill resort” and the “queen of hill stations”. It was my second trip after Nainital. In the whole trip I have visited many places and made it the longest trip of my life till now. In this trip I have travelled more than 6000 kms in 10 days. The Journey from Delhi to Chennai is of 35 Hrs(approx), if you go by train. However, Rajdhani Express takes only 25 Hrs to reach. If you go by Air then it takes 3 Hrs(approx) to reach Chennai. But, we travelled by GT Express train. As it was a bit long journey, we got little tired. Then we took a hotel at Triplicane road. The sight of hotel was good for staying, as it was full of hustle-bustle. The advantage of taking a hotel at Triplicane road is that it is only 1 km away from Marina Beach and the place is full of Markets & Shops. At Triplicane, one has no. of choices for dining and shopping. Our 3rd day started with sightseeing in Chennai. We didn’t hire a taxi or a cab. As we knew that travelling by a government bus gives a different experience and Chennai has a very good public transport system. So, we chose government bus for travelling. You can also visit places in Chennai by booking a cab/taxi. But if you choose bus for you excursion then don’t forget to write down the bus numbers. It will help you in recognizing your bus. Then in Chennai we visited Snake Park, Kapaleshwar Temple, Marina Beach, Guindy National Park, VGP Golden Beach and ate various South Indian Dishes. VGP Golden Beach is a much better beach than Marina Beach. On day 4 our excitement was at its peak because we were moving towards Ooty. 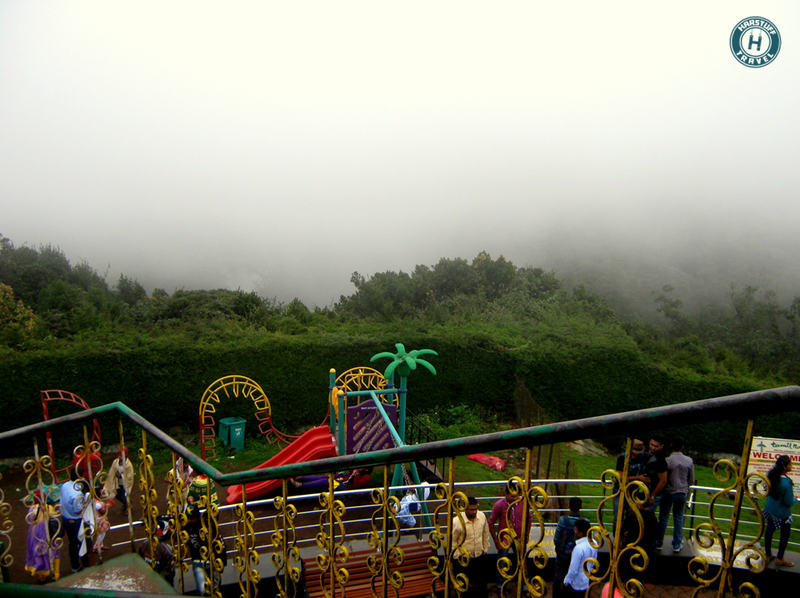 Ooty is one of the best hill stations in South India. The distance from Chennai to Ooty is 600 kms (approx). The road from Chennai to Ooty is excellent. The whole highway is 6-lane and it passes through Vellore & Coimbatore. If you have enough time and are not in hurry to reach Ooty then you can visit the famous Golden Temple situated in Vellore. You can reach Ooty from Chennai by any modes of transport. You can get Volvo Bus or Ordinary Bus. You can also go by train. But there is no direct train available to Ooty. First you have to reach Coimbatore then you can continue your journey by travelling through Nilgiri Mountain Railways. For travelling in Nilgiri Mountain Railways you have to reserve your seats in advance otherwise you will not get a seat. We had booked a Indigo Taxi for travelling to Ooty because we had to continue our journey after Ooty. Our journey took 12 hrs to reach Ooty and then we checked into the hotel. Tariff for Taxi: ₹10/- per km for Swift, Indica, Indigo & ₹14/- per km for Innova. On our day 5, first we made a list of places to visit and then we started visiting those places one by one. We started with Rose Garden at which 100’s of varieties of roses are there and then we moved on to Botanical Garden, Valley View, Lamb’s Rock, Cathrine Water Falls and Avalanche Lake. After that we went to Dodabetta Peak(highest point of South India), situated at a height of 2690m above sea level. 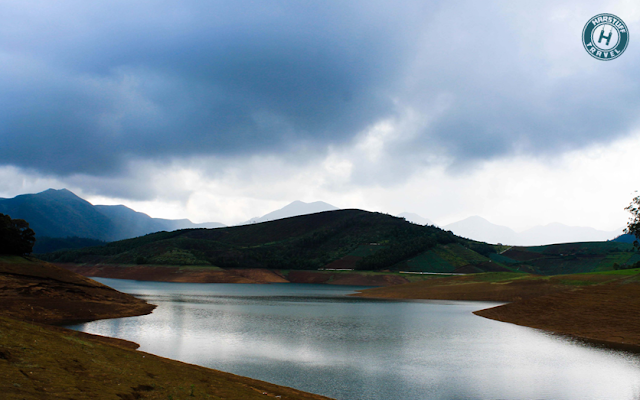 It is located 9 kms drive from Ooty. The best way to explore Ooty is by taking a cycle ride, beacuse there are many breathtaking locations and you will get a more better experience by taking a cycle ride. Then we moved on to Pykara. 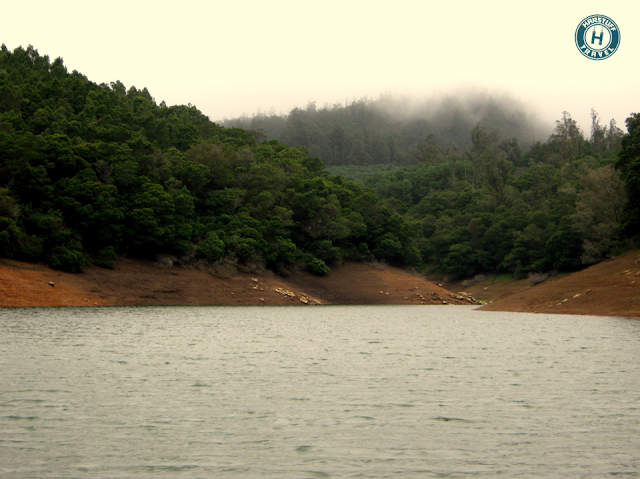 It is a small town located just 12 kms away from Ooty. There we visited Pykara Dam, Pykara Boat House, Pykara Water Falls, Wenlock Downs. One should visit Pykara Boat House, such a beautiful place. There are 3 types of Boating available in Pykara Boat House viz Row Boat, Paddle Boat and Motor Boat. Tariff’s for each type of boating are different. The distance from Ooty to Mysore is 130 kms and the road from Ooty to Mysore passes through Madhumalai Wildlife Sanctuary and Bandipur Tiger Reserve. The road is really awesome and full of thrill as it passes through dense forests and there are many animals crossing points also. Because we had enough time thus we decided to take a safari in the dense forest of Madhumalai Wildlife Sanctuary. Madhumalai Wildlife Sanctuary is situated in Tamil Nadu while Bandipur Tiger Reserve is situated in Karnataka. Bandipur Tiger Reserve is also a good place for wildlife lovers. After that we continued our journey by heading towards Mysore and in the evening we reached Mysore. Mysore is one of the most popular tourist destination in Karnataka. It is also known as “Palace City” of India. There we visited Mysore Palace, Lalitha Mahal Palace and Chamundi Hills. 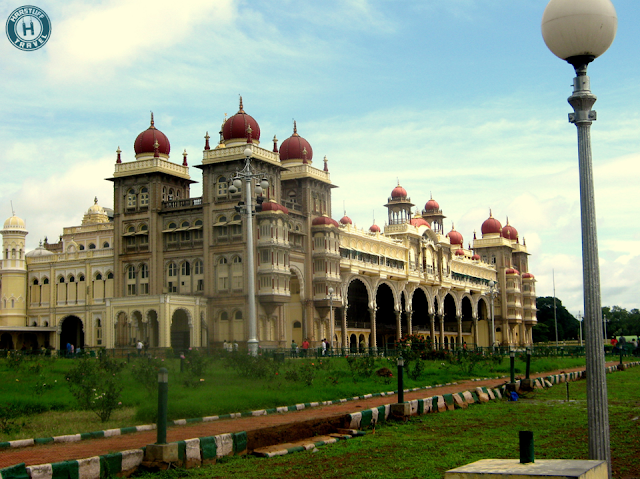 Mysore Palace is one of the best palaces in India. The Palace shows us the lifestyle of our kings that how they lived such a royal life. It is a must visit palace. Lalitha Mahal is also a royal palace with a good architecture. 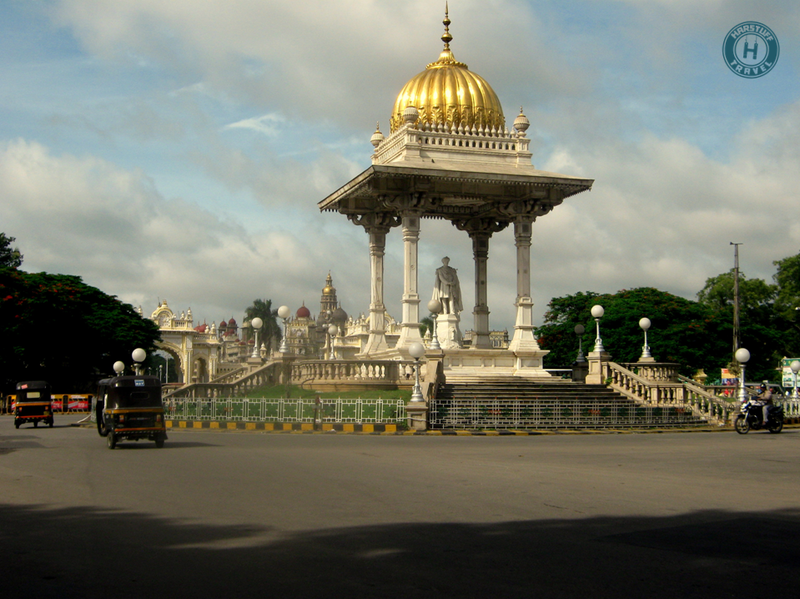 After visiting Chamundi Hills, we left Mysore and then started our journey towards Chennai. The distance from Mysore to Chennai is 480 kms. After a smooth drive of 8 hrs we reached Chennai in the late night. On day 8, we started are journey for Puducherry. The journey of Chennai to Puducherry is of 3 Hours drive. The road is average, the whole way passes through the shore of Arabian Sea. 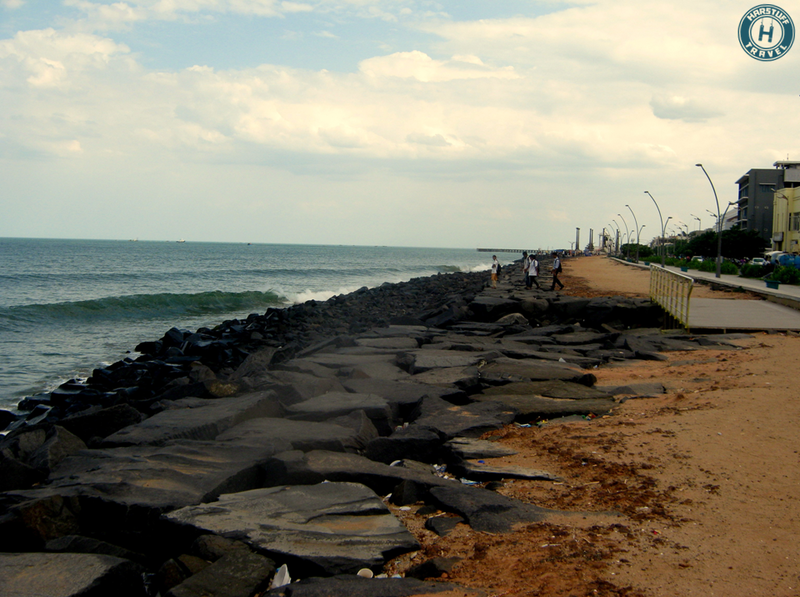 When we reached Puducherry we found that it is a good city in all way. It has good people, cleaniness, different accent and amazing places to see. In Puducherry we visited Auroville, Matri Mandir (Meditation hall with world’s biggest man made crystal ball), Paradise Beach, Aurobindo Ashram and Rock Beach. 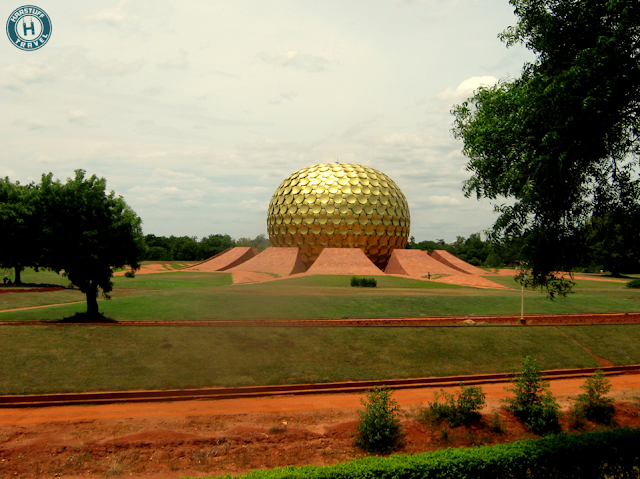 If you need a place with full of peace then you must visit Auroville. After that in the evening we came back to Chennai and took rest in the Hotel. On this day we were little sad because our journey was at its end. And finally we came back to Delhi by Tamil Nadu Express Train. We are on Android Now!! Very informative post, rather travel guide…:) and the pics are beautiful! 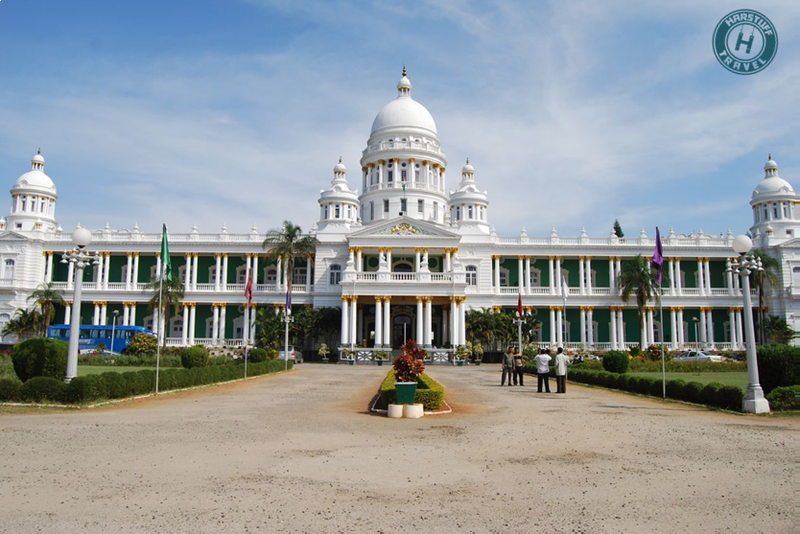 Great blog on a trip to Ooty, Chennai, & Mysore! 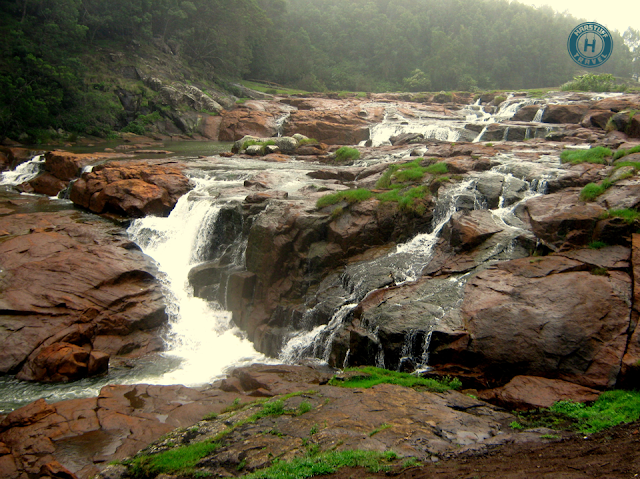 Ooty is the ideal hill station for tourists to visit on any Tour to Tamil Nadu. One of the most popular tourist places in entire India, Ooty is a treasure trove of breathtaking natural beauty. The numerous tourist attractions in Ooty include the verdant hills, cascading waterfalls and sparkling brooks, dense forests, sprawling grasslands and extensive tea gardens. Tourist across the seas comes here to visit the amazing locations and for many travelers who prefer to stay at stay in Ooty. Beautiful pictures. I have been to Ooty and Mysore and can so relate to your post. Great pictures and travelogue. That pic of Avalance Lake is stunning! very helpful for follow traveler. Nice post. As a highlight of Ooty tourism, it has pleasant weather all year round that makes it a perfect getaway destination in the summer. The lush green tea plantations and dense forests offer stunning vistas. 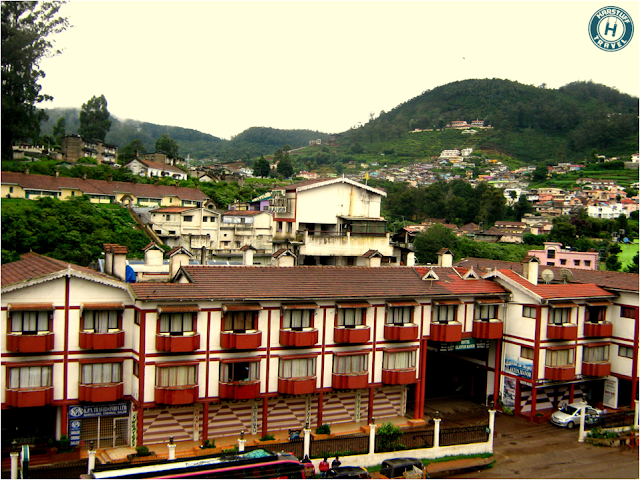 Click here to know about popular Ooty hotels. Great post, I really liked it and enjoyed reading it, Thanks for sharing this useful and valuable information with us.